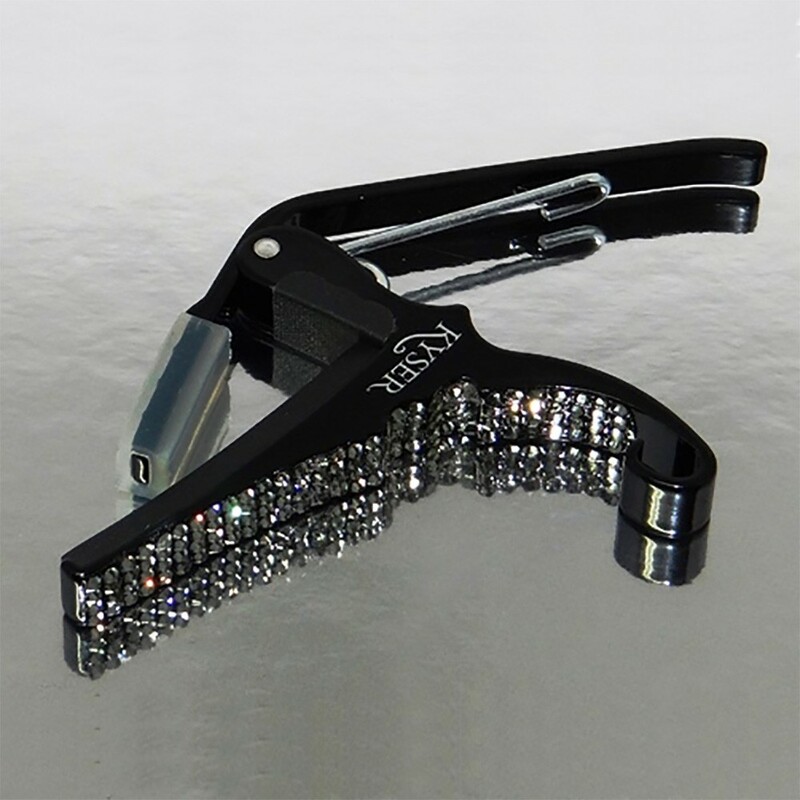 CBGB LOGO GUITAR CAPOS CHOOSE BLACK OR WHITE REVERSE LOGO & MATCHING SWAROVSKI CRYSTALS Sometimes, plain colors just aren't enough. The brand new CBGB OMFUG® Swarovski® Bling Series features our tried and true Kyser® Quick-Change® adorned with bright, sparkling, beautiful Swarovski® crystals. If you want your guitar neck to shine as bright as your music, then the Kyser® Swarovski® Bling Series is for you.